The little guy and I are definitely loving the new Weather All Around Us theme for October. 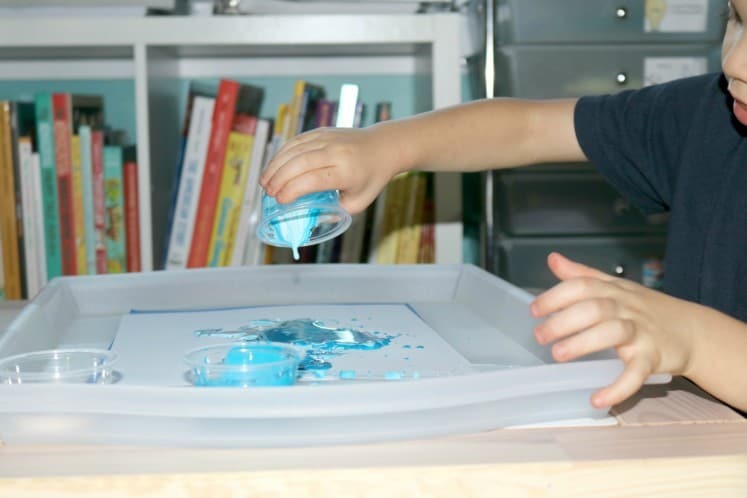 This week, we made Glitter Snow Dough, Rainbow Ice, and even a Cloud in A Jar as we learned about different types of weather. 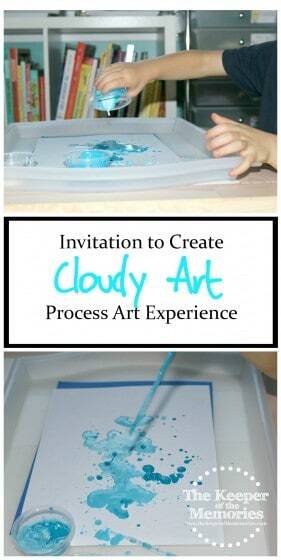 Our favorite activity was of course the Cloudy Art Invitation to Create. You know, because process art is kinda our thing. 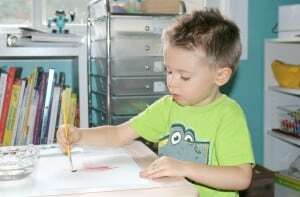 The little guy loves open-ended projects and I love that they encourage creative thinking and problem-solving skills. 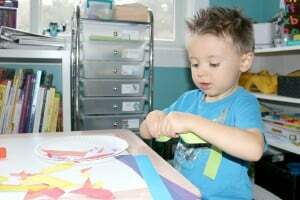 We seriously couldn’t live without the art and science activities from Mother Goose Time each month. They’re definitely a huge part of what makes this curriculum so much fun. Obviously, the manipulatives and magnetic story pieces are on that list too, but… I digress. 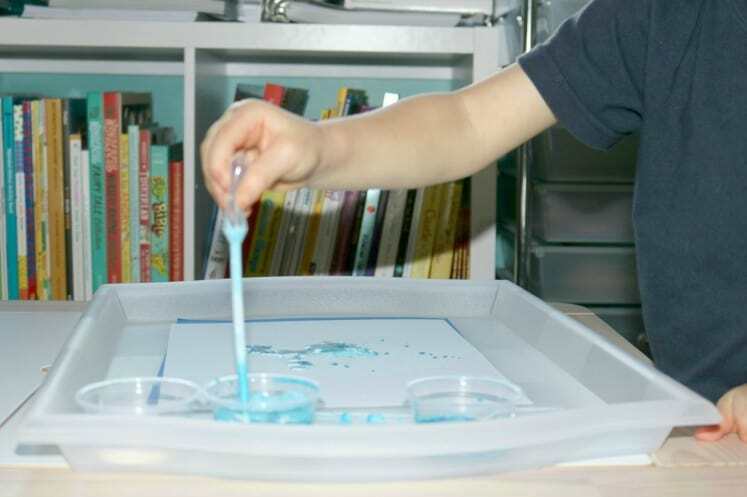 We used blue and white paint and diluted it so that we had a few different consistencies to work with. 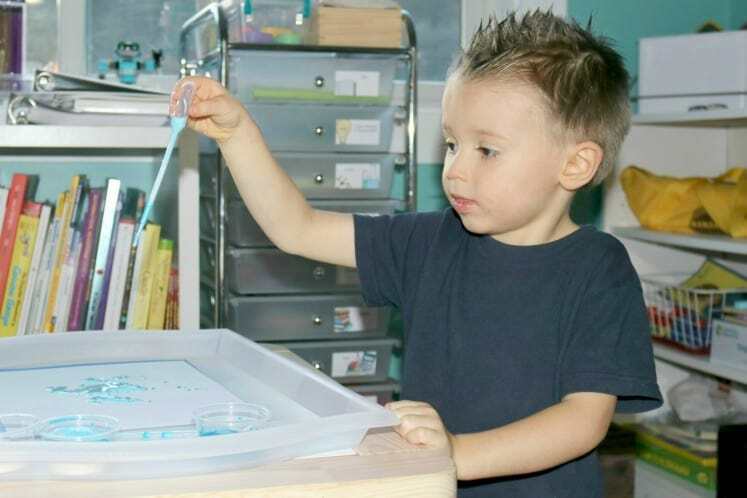 I gave him pipettes to use while he was making his Cloudy Art. And guess what? Exploring new supplies makes everything a lot more interesting. But you already knew that, right? Either way, I couldn’t be happier. 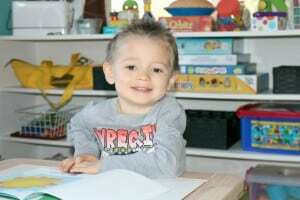 The little guy asks for school every day, including weekends. 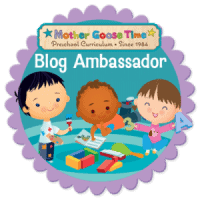 Thankfully, we get Experience God too, so… There’s definitely no shortage of Mother Goose Time activities around here.